Take a look at some of the equipment we use in our workshop for magneto servicing and overhauls. 1. To help magneto owners look after their magnetos themselves. 2. To do the jobs that some magneto owners may feel unable to do themselves. how they work; and to collate as much other information as we can about the electrical equipment commonly found on classic motorcycles. Our patented EasyCap™ is a simple replacement for the condenser (capacitor) in many ignition systems, focusing especially on that old problem, the deeply-buried condenser found in all rotating-coil magnetos. Once fitted, the EasyCap becomes a routine service item. Initial installation does require the old condenser to be disconnected. We provide detailed instructions in our 'condensectomy' pages on how to do that. We also provide downloadable drawings for those of you who wish to make the required puller tool yourselves. Alternatively, you can send us your armature or magneto, and we'll do the job for you. We also sell our Brightspark™ range of specially-selected, top-quality, British-made slip rings and pick-ups for Lucas and BTH magnetos. Pick-up brushes of the highest quality are also available, of the correct grade to avoid carbon deposits on the slip ring. 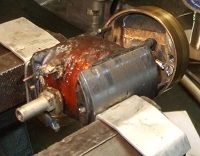 We can give your magneto a thorough service, check its components and test its performance. We provide a detailed report of our findings and recommendations for what needs to be done. Or send us just the armature, and we can test the windings and slip ring, and disconnect the old condenser ready for the magneto to use our EasyCap condenser. If your magneto has a tired magnet, we provide an inexpensive remagnetisation service with a quick turnaround time to help you get your magneto back to tip-top condition. 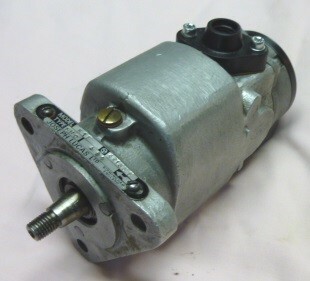 From time to time we have complete magnetos available for sale or in part-exchange. At any one time, we reckon to have a small choice of reconditioned instruments available for immediate use, and a further selection that can be reconditioned on demand to 'perfectly functional' or 'as-new' to suit the needs of a customer. The place to buy our EasyCap condensers and other magneto parts. Photo-sequences of stripping and rebuilding magnetos and of how to extract an old-style capacitor (the 'condensectomy') and replace it with an EasyCap. Our detailed guide to maintaining and troubleshooting your magneto. Free access to service and repair information aggregated from many sources. 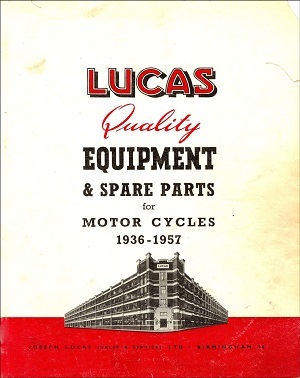 Parts lists and workshop instructions, not only for magnetos, but also classic motorcycle dynamos, regulators, alternators and rectifiers (and wiring diagrams) of use to all classic owners. Links to some interesting books, learnèd papers and patents on magnetos and capacitors (for those who wish to read more deeply). Downloadable drawings, all for free, for making your own bearing and slip-ring pullers; patterns for shims, gaskets and bearing insulators; and timing discs. From the basic to the complex - some relating to our products, others more general - there's a lot of stuff in our frequently asked questions, some of which isn't to be found elsewhere on the internet or in the books. Under construction, so far showing video sequences illustrating the importance of capacitance to satisfactory ignition system performance. A tour of some of our specialised workshop equipment. Nous pouvons vous aider soit en français, soit en anglais, à votre convenance. All of which is the product of Brightspark Magnetos Ltd's long practical experience of working on magnetos and classic vehicles generally. We wish to 'demystify and simplify' wherever we can, so that more owners can not only maintain their magnetos, but enjoy doing it, with confidence, relying on the detailed support we offer.